This book gives you the answers and the tools to move from being a good employee to succeeding as an entrepreneur. 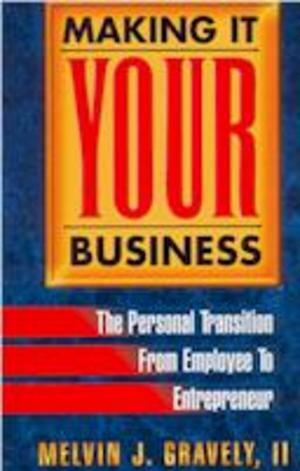 Making It Your Business: The Personal Transition from Employee to Entrepreneur is packed with practical ideas and examples that you can use immediately. If it is your business, then this is your book. -The #1 reason for business failure and how to avoid it. -Six different strategies to enter entrepreneurship and which is best for you. -The "real" risk of entrepreneurship and how to limit it. -The key differences in being an employee and being an entrepreneur. -How to deal with fear (and even procrastination) to get you started quickly.